Like most polling agencies, majority of polls conducted by IranPoll is owned by clients. However, IranPoll did publicize two rounds of polling results before the Iranian 2017 presidential election which was held on May 19th 2017. 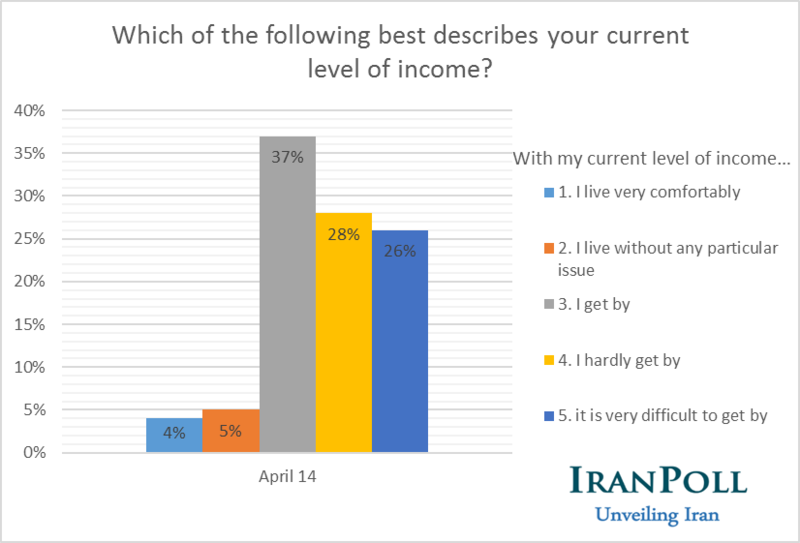 This short summary is aimed to analyze the accuracy of IranPoll’s latest publicly available polling results for that election, which was conducted on May 16th 2017, and was published in The Economist on May 19th 2017 available here. The actual results of the presidential election as reported by the Iranian Ministry of Interior was 57.14% for Hassan Rouhani and 38.28% for Ebrahim Raisi. Considering poll’s margin of error of +-3.09%, the predicted results for both candidates fall in the margin of error. 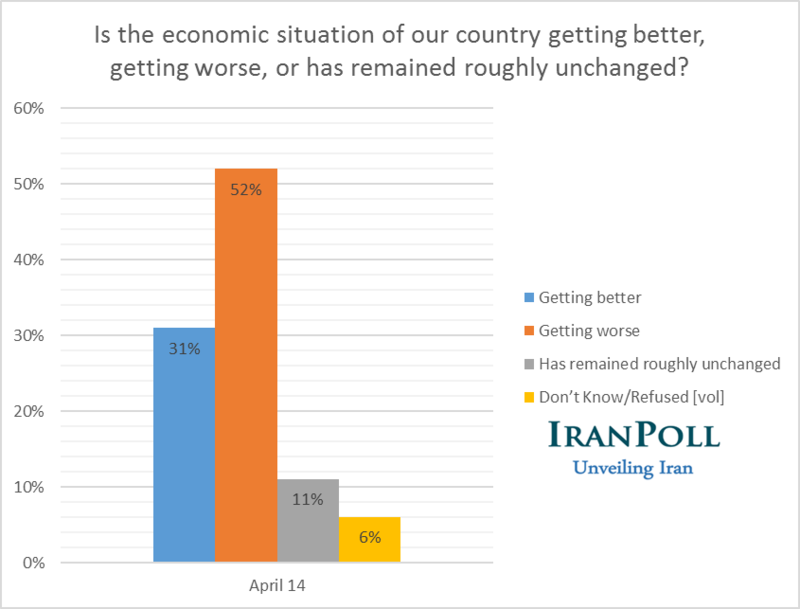 This shows IranPoll’s estimation were correct and accurate within the margin of sampling error. While less commonly known the margin of sampling error does not apply to the spread between the candidates, and only to the percentage point estimates themselves. There are a number of metrics available for quantifying error in election poll estimates. However, in this short summary only the two simplest measures are used. These two same measures were utilized by the “American Association for Public Opinion Research (AAPOR)” in analyzing the polling results of the United States’ 2016 presidential election. The result is published by AAPOR in a paper titled “A Primer on Pre-Election Polls” available here. The first measure is the “absolute error” on the predicted vote margin which is always a positive number. This is computed as the absolute value of the margin (%Rouhani-%Raisi) in the poll minus the same margin (%Rouhani-%Raisi) in the certified vote. The second error measure used by AAPOR is the “signed error” on the projected vote margin. “Signed error” is calculated similar to the “absolute error” but does not take the absolute value and can be positive or negative. In the case of IranPoll’s public results, the “absolute error” and “signed error” remain the same. As IranPoll continues to publicly make its election polls available, over years the results provided above could be utilized to analyze election polling accuracy in Iran further. This summary is available in PDF form here. IranPoll is releasing its first round of polling results in anticipation of the upcoming Iranian presidential election. The study is based on a telephone poll conducted between April 11 and 14, 2017 among a representative sample of 1,005 Iranians. The margin of error is about +/- 3.09%. Q1. Which of the following best describes your current level of income? Q2. As compared to 4 years ago, has your family’s economic living situation improved, deteriorated, or remained roughly unchanged? Q3. How good or bad is the current economic situation of our country? Q4. Is the economic situation of our country getting better, getting worse, or has remained roughly unchanged? Q5. To what degree President Rouhani has or has not been successful in resolving our country’s economic problems? Q9. Notwithstanding who you will vote for in the upcoming election, which of the following figures do you think can better accomplish these goals if he were to become Iran’s next president? Q10. How likely do you think it is that President Rouhani might lose in the upcoming presidential election? The full report with frequency tables is available in PDF form here. Lowy Institute: Iranian elections: An uneasy victory for Rouhani? The Nation: Will Trump Help Elect a Hard-Liner in Iran? Die Welt (German newspaper): Was wurde aus den 74 Versprechen des Hassan Ruhani? Al-monitor: Iran polling: Will vote see Rouhani-Ghalibaf rematch? Iran Election Barometer is IranPoll's dedicated blog for covering polling results related to Iran's 2017 presidential election. With Iran's 2017 presidential election fast approaching, IranPoll intends to publish election related polls in this blog.